A new year can bring lots of excitement but for those facing deployment it can be the start of a depressing countdown. The to do list before you deploy can be long but there is one special task that Little Troopers want to be sure gets added. If you are going to be away for your son or daughter’s birthday this year please complete our Birthday card request form. Little Troopers will send your little one an extra special card. The message you request will be handwritten in the card exactly as you submit it. Louise Fetigan from Little Troopers said; “I love writing out the messages on your behalf and seeing their smiles when they get the card on their special day. 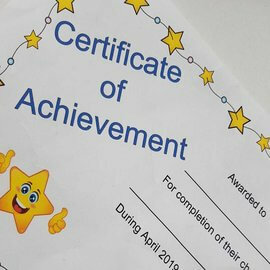 We want all children in our community to feel valued and special and this is just another little gift from us to them. Each year we design a unique card and badge. Please help us spread the word about our birthday card scheme..